Change things a little. Bring ethnic whimsy into your home with this vase. 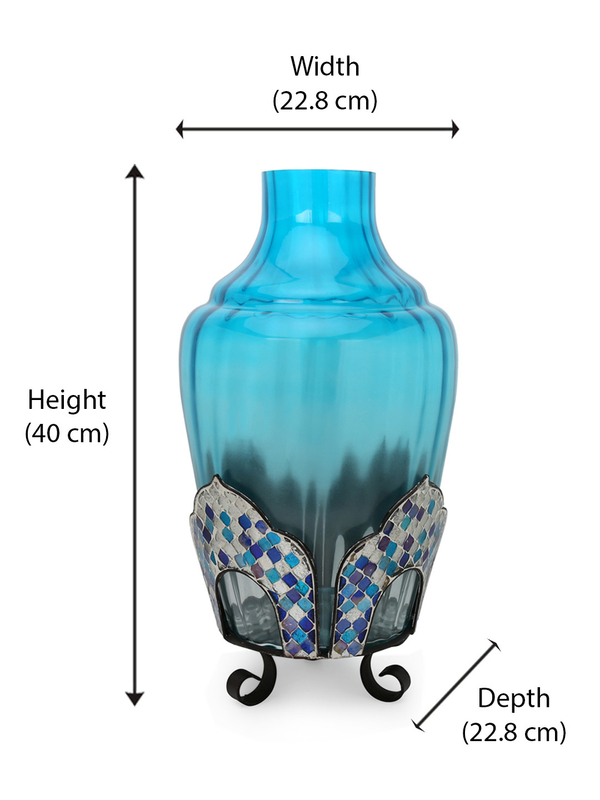 A cool blue glass vase is beautifully settled on a decorative metal stand. Accentuate its colours by adding a few long stems, colourful flowers or let the vase stand by itself, it looks amazingly attractive, every way. Place it on the console or on the side table by the sofa. A good idea would be to get one for yourself and one for a friend, too.